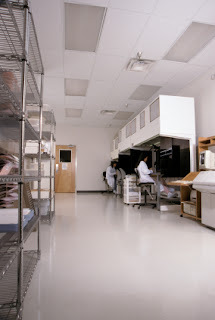 Controlling and maintaining humidity levels in an enclosed environment or vessel is a crucial component of controlled atmospheres such as clean rooms, archives, and dry boxes. We've written earlier posts relating to this topic including Nitrogen Gas Uses for Clean Rooms and Dry Boxes Use Nitrogen Gas to Prevent Moisture. Nitrogen gas is used to control humidity in enclosed environments because it is a safe, dry, inert gas that is found naturally in the air we breathe. Using a simple PSA Generator or Membrane Generator technology to separate and isolate the N2 molecules, a Nitrogen Generator collects the resulting high purity N2 gas in an attached storage tank ready for use. By controlling the levels of Nitrogen Gas introduced into an enclosed vessel or room, oxygen levels will be reduced and the N2 gas can absorb moisture, thereby helping to maintain a dry and less humid atmosphere. A Nitrogen Generator is capable of producing varying levels of N2 output and purities, depending on the application. South-Tek Systems uses a Nitrogen Flow Meter to monitor the flow rate requirements of a particular application, whether it's a clean room, dry box, or valuable archive storage area, and then provides the optimal Nitrogen Generating System for that application. Visit our Nitrogen Generation Products page for more information or contact South-Tek Systems to learn how a Nitrogen Generator can benefit your humidity control needs today: 888-526-6284.